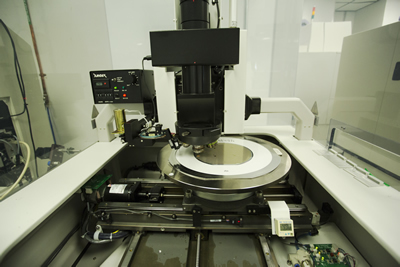 Micross has extensive experience and in-house expertise to design test programs and perform the wafer testing and sorting using our state-of-the-art Accretech 8” and 12” wafer probers. We design vertical probe cards and develop programs for a wide range of circuits, including RF devices running as fast as 6 GHz and high-speed digital ICs with clock speeds as high as 10 GB/sec. Key features of Micross wafer test and sort services include thermal control, multi-site probing, bake retention, bumped wafer probing, in-line or off-line inking, auto alignment and probe mark and wafer ID inspection.